Despite the fact that 2015 has been all kinds of good – New York with the boo, a Byron opening in Bury St Edmunds (Suffolk has hit peak yum) AND a sparkly new Olympus Pen camera – something kind of, well, a bit ugly has happened. And that, my internet pals, is my wardrobe. Working from home and getting just the *tiniest* bit older has seen my outfits become well, frumpier. And darker. And less full of pizzazz. Don’t get me wrong, I’m seriously comfy, and I feel like I have off-duty dressing down to a tee, but I kind of want to feel good about myself again. So this month I made a bit of pact to myself to up the dressy factor. To go absolutely flippin’ insane and actually wear my over-the-knee boots out of the house (somebody please alert the village elders), to wear dresses that sat above my knee, to wear saucy strappy heels and to curl my hair and to venture into the realms of eye shadow at least a couple of times a week. And y’know what? I feel sizzling. Like someone get some flame emojis over here. We got a hottie to put out. So for 2016, my goal is to keep up with the glamour and showing off a bit more of my body (rather than banishing it to the realms of oversized roll necks and boyfriend jeans) and to get a teeny tiny bit more playful with colour. I love a good, subtle dusky pink because it *almost* feels like a neutral shade, remaining firmly in your comfort zone and yet looks incredibly swish when paired with a well fake-tanned leg. 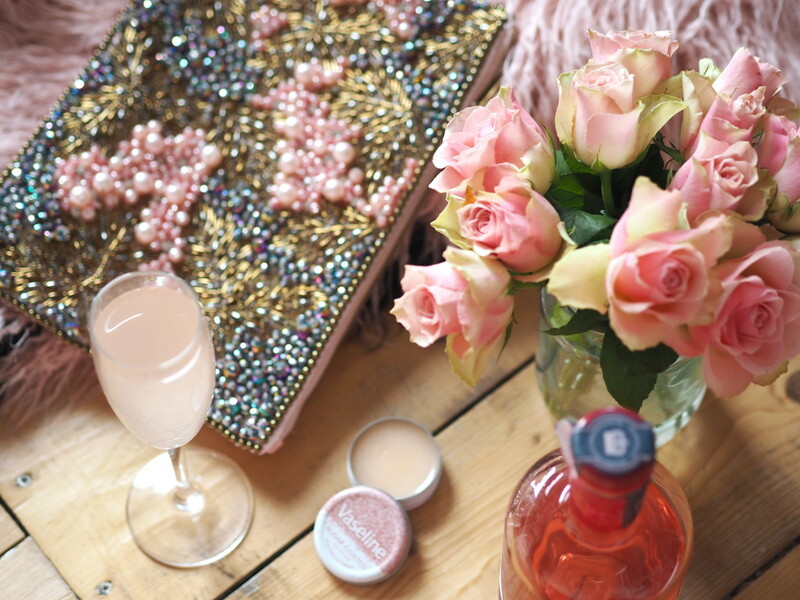 It also happens to match my rhubarb gin cocktails and Vaseline Sugar Coated Lip Therapy, so that’s pretty bangin’ too. I’ve been a long-time Vaseline lover, and pretty much have a different variety hanging about at the bottom of every handbag I own. The new limited edition Sugar Coated version not only looks ridiculous pretty, but it adds a cute barely-there sheen to lips too – making it perfect for keeping lips soft, hydrated and healthy over the party season. I’ve been pairing it with a smoky eye when I want an almost-naked lip, and it means Chris will actually kiss me rather than moan about getting lipstick on him. So that’s always a result. You can rest assured I’ll be keeping it snuggly packed in my clutch’s inside pocket, along with my portable phone charger for emergency Instagramming because duh. And, aside from a low-key lip, for this NYE look I’ve opted for a kimono dress because I’m a bit obsessed with them at the moment (it all started with this River Island one). They hide any unsightly arm wobble, fall gracefully over Christmas bloat, and yet still look dressy and sophisticated. I’ve teamed it with a matching pink faux fur coat and honestly, I feel like Chanel Oberlin from Scream Queens and I think you should all give it a go because candyfloss faux fur coats are 100% the way to achieve all your life goals and ambitions. 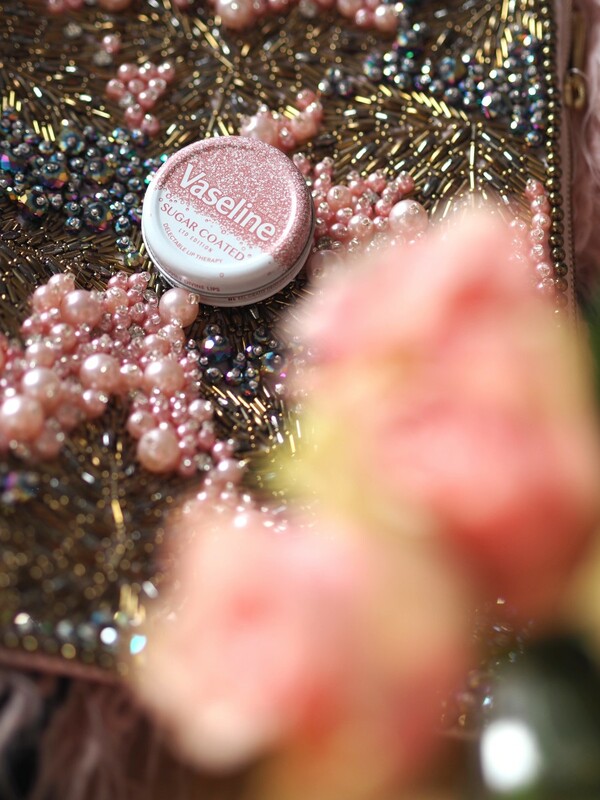 And finished the look off with go-with-everything strappy heels and this incredible glittering clutch which basically looks like it wants to be best friends forever with my Vaseline pot because they have the EXACT same pattern. Those guys. So yeah. I’m investing in colour for 2016, so watch this space. 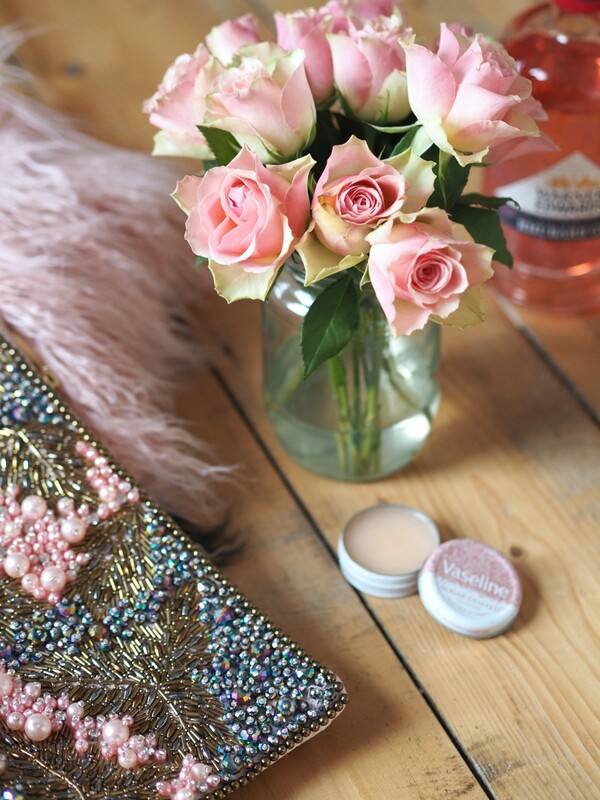 Things on this blog are about to get a whole lot more colourful, and just a touch more sassy. What are you wearing for New Year’s Eve and what are your style resolutions for next year? 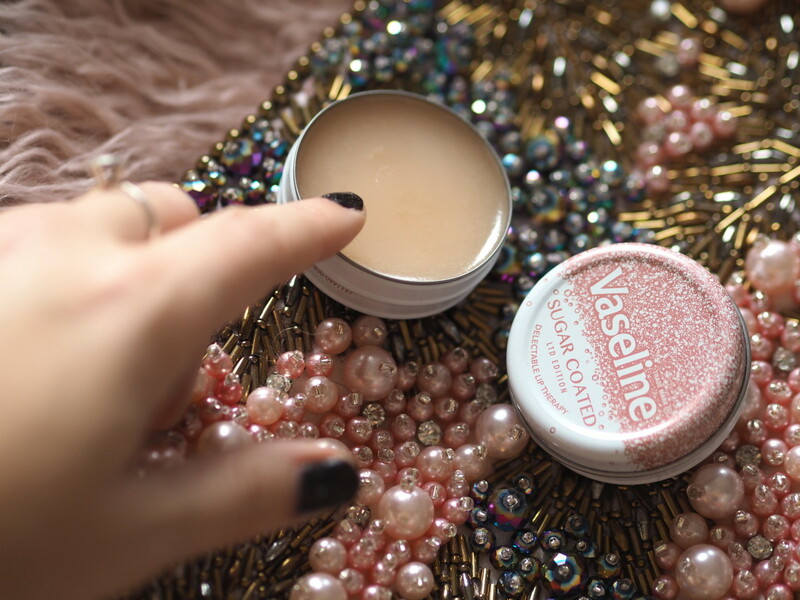 This is a sponsored post, but love for dusky pink faux fur coats and Vaseline are all my own.